Nursing and Midwifery Council proposes use of supervisors and assessors. 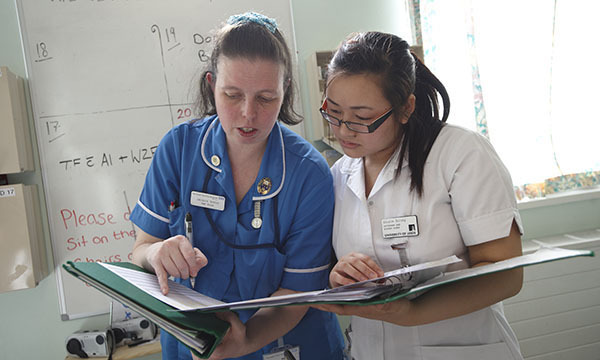 Mentors for nursing students could be replaced with supervisors and assessors as part of the ‘radical’ overhaul of nurse education by the Nursing and Midwifery Council (NMC). The proposals were outlined in the regulator’s draft future nurse standards and education framework, which aims to detail what is expected of graduate nurses and their training institutions. The draft standards have been drawn up to replace those adopted in 2010 and have been approved to go out to consultation next month, after an NMC council meeting on 24 May. Currently, a mentor is defined as a registered nurse who ‘facilitates learning, and supervises and assesses students in a practice setting’. All nursing students on pre-registration programmes must have a designated mentor while on placement. A pool of practice supervisors: defined as ‘any registered health and social care professional who facilitates and supports students with their practice learning where appropriate’. Practice assessors: a nurse who will confirm student learning on a placement but not take an active role in training – differing from the mentor. Organisations will be free to decide who is best suited to each task, providing quality assurance can be given to the NMC. In addition, academic assessors will check proficiency at university. Concerns have been raised that the quality of mentorship and assessment can vary. Also research has shown that, due to reasons such as pressure or lack of confidence, some mentors were passing students who they thought should fail. Nurse academic Jill MacLeod Clark, who led the work on the new standards, had been critical of the mentorship system. She believes the proposed framework will ensure students can be supervised at all times, rather than need to wait for their designated mentor to become free. Other proposed changes include ensuring all nurses are capable of ‘mental health first aid’ and promoting healthy lifestyles to patients. All four fields of nursing – adult, child, mental health and learning disabilities – will remain, but the draft suggests every nurse should have a better knowledge of the other specialisms. The draft standards also cover prescribing. Newly-registered nurses will not be given permission to write basic prescriptions or perform intravenous injections as proposed in a previous draft, but will be required to show they are able to do so. The NMC expects this requirement to allow prescribing after a short period of training. Two sections, one on the Royal Pharmaceutical Society’s competency framework and one on medicines management, were removed from the draft proposal for consultation separately. NMC Council did not discuss the draft standards but instead reviewed a list of 45 questions put forward for public consultation.